My search for the ultimate gadget bag is, as always, ongoing and is focussed as much on pure gadget capacity as it is on style and quality. One bag that strikes a very good balance and truly excels in the quality side of the scale, figuratively exuding quality, is the Knomo Saxby Leather Laptop Bag. I chose to review the brown leather Knomo Saxby original, there’s a new wider and slimmer version, if you don’t have as many gadgets, which will fit a 17″ laptop. The original Saxby is good for 13″ or 15″ and will fit a 13″ MacBook Pro complete with its own protective case- adding an extra level of protection on top of the already reasonably well padded laptop compartment. 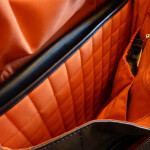 The Saxby is lacking very slightly in laptop padding, but what’s there is extremely high quality, with a celled, padded section separating the laptop compartment from the main compartment of the bag. The bottom of the bag is more generously padded, preventing damage in the event that you set it down a little too heavily. I’ve said it before, and I’ll say it again, the Saxby exudes quality. Everything down to the last detail is beautifully manufactured and finished, not to mention extremely durable. The Saxby is made to last, more than justifying the Â£130 price point. 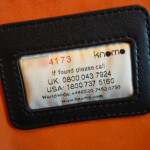 In particular, the Saxby goes so far as to contain a unique serial number which identifies your bag should it be lost or stolen. 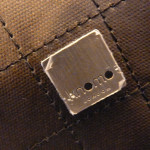 It’s not a core feature, but a very nice touch that exemplifies what you should expect from high-priced, designer laptop bags. The Saxby Laptop Bag is also big. Very big. It’s bulk may put a lot of people off, but when considering the perfect gadget bag it’s important to factor in just how much internal space there is for PDAs, smartphones, tablets, spare batteries, mice, a plethora of cables and other gadgetry. I occasionally carry both a laptop and a netbook when travelling, making this size bag useful for those occasions, and I always carry my bulky headphones making it essential for day to day use. Inside the Saxby’s numerous compartments are an even greater number of pockets in which you can fit various widgets and gubbins. It does, however, lack any elastic compartments or loops, which I found very useful in the Proporta laptop bag for securing USB dongles and other important gadgets. 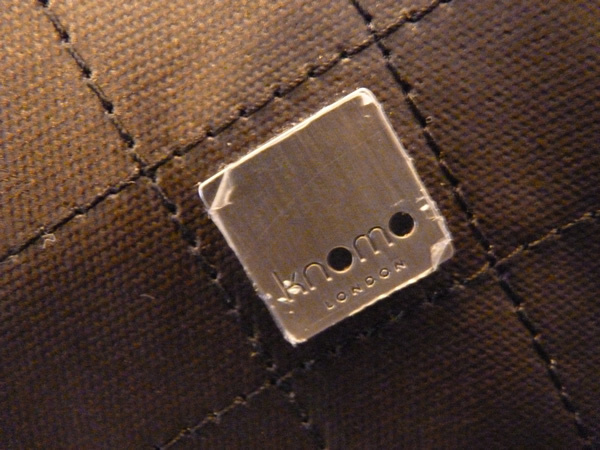 It also lacks any anchor points, meaning it’s not possible to secure other cases inside this one… I keep my MiFi tucked inside a hard digital camera case and secured in the Proporta laptop bag using the karabiner clip. This means it’s perfectly secured within the bag, a feature that, sadly, cannot be replicated in the Saxby. Above: The Proporta laptop bag contains anchors to which you can securely attach cases, and elasticated pockets for storing dongles/cables and more. The Saxby, sadly, lacks these. The Saxby makes up for this lack of security with a few zip-up pockets which can be used to secure important gadgets outside of the main compartment where they’ve no risk of falling out. 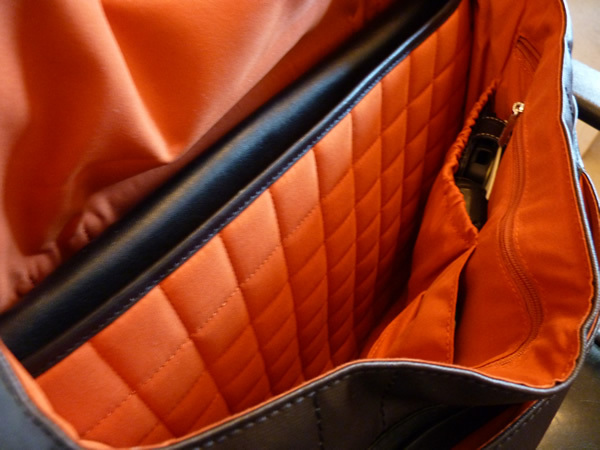 These pockets are on the front of the bag, the front of the flap, and the front inside of the main compartment with the former having an array of compartments inside, and the latter simply being plain A big downside, however, is that the main compartment is secured only with a magnetically latched flap, and no zips. 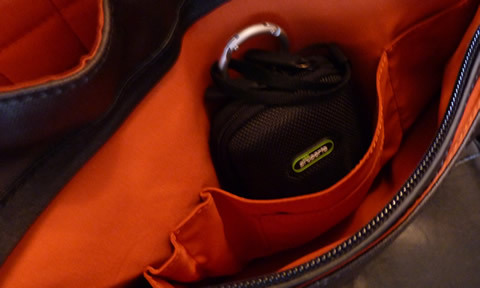 I tend to store everything I can cram into the zip-up pockets and compartments with the only thing rattling about in the bottom of the main compartment being my headphones… and I’ll notice if they fall out! 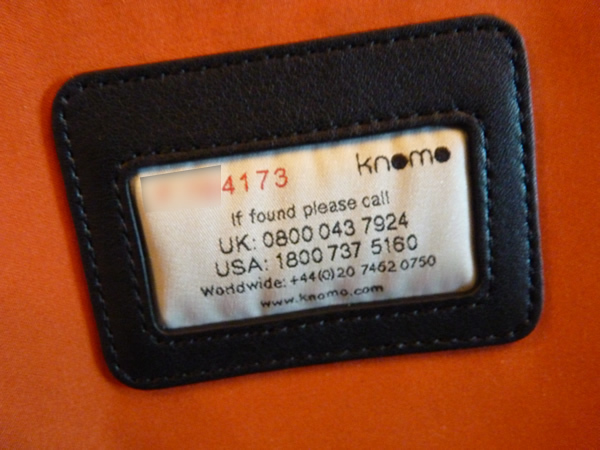 Ultimately the Knomo Saxby wins big on quality, looks great, and has more than enough padding. Where it’s lacking is in features, with no headphone portal, no anchors to secure other cases, no strong elasticated pockets and no zip to secure the main compartment. Still, it comfortably and, more or less, securely fits all of my gadgets and feels like it’ll last a lot longer than the Proporta laptop bag, which is already succumbing slightly to abuse. This entry was posted on Wednesday, May 12th, 2010 and is filed under Personal Computing.